In marked contrast to President Obama – who treats his country’s closest ally with utter contempt by urging the British people to accept a continued loss of sovereignty and self-governance which America would never tolerate for herself – there are a number of other, more respectful American public figures who treat British democracy with the respect it deserves. Some of these individuals not only recognise that the EU referendum is a sovereign decision for the British people alone to make without unwelcome hectoring from the Oval Office, but also appreciate that Brexit is the far better outcome for Britain, America and the world. Nor is unity reflected in incessant affirmations of Europe’s economic size, as if it were truly integrated. Indeed, if Europe had single-mindedly pursued a single market, abjuring political abstractions, it could have achieved more economic integration and broader political consensus together, rather than getting wrapped around the axle of “ever closer union”. And just as symbolic gestures do not ensure unity, reversing those symbolic gestures does not forestall Britain’s ongoing descent from representative government into Europe’s bureaucratic oligarchy. David Cameron’s proposed changes to London’s relationship with Brussels in no way addresses, let alone cures, the systemic failures inherent in EU decision-making structures. Brilliant, stirring stuff. This blog does not often share common cause with prominent neoconservatives in the model of John Bolton, but in this case he is absolutely correct. The point about Europe being less than the sum of its parts is particularly astute and counters the lazy (and never supported) trope that the EU amplifies our economic, military and diplomatic output, when in fact the European Union does no such thing. The EU is far from a single, integrated economy – as John Bolton goes on to argue, the single-minded obsession with forging a political union has in many ways actually detracted from the creation of a true single market, such as could ever exist in a continent with such diverse cultures and no common language. 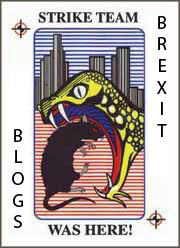 Therefore, if we vote for Brexit, Britain will not be leaving some dynamic and prosperous unified economy – we will be leaving a political bloc dominated by an ill-fated currency union which imposes utter economic misery on the south and imposes financial obligations in the form of necessary transfer payments with the northern countries are unwilling to meet. America is partially at fault for the EU mirage because Nato, largely a US creation, has been so successful. For decades, sheltering under Washington’s military umbrella, Europe, including Britain, has recklessly shrivelled defence budgets and increased social-welfare expenditures. The results are not pretty. The EU has not only retreated from the world stage, it is becoming incompetent in ensuring security within its own “borders”. Europe’s loss of defence capabilities, as well as will and resolve, are deeply inimical to defending the West against today’s increasing global threats. [..] If advocates of Britain remaining in the EU haven’t noticed, America’s international commitments are under attack from several populist directions in our ongoing presidential campaign. Some, especially among Democrats, simply do not value national security, preferring to focus on domestic issues, hoping – God forbid – to make America look more like social-democratic Europe. Others, especially among Republicans, think America’s allies have got a free ride, don’t appreciate US efforts, and should be made to fend for themselves. If Britain votes to stay In, this view may prevail across Washington. So be careful what you wish for. These criticisms are entirely justified. 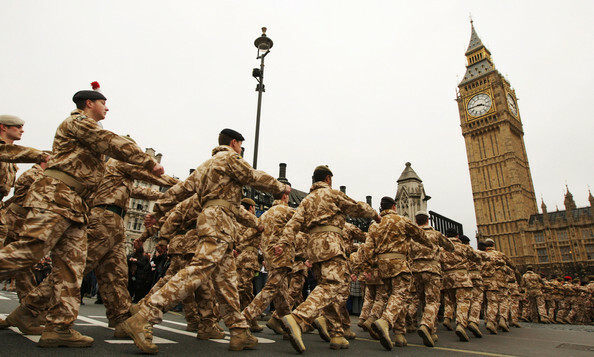 Though Britain does best of the European powers in terms of maintaining any form of credible military, our armed forces have been pared back relentlessly while money is funnelled in an unearned peace dividend toward vote-winning social programmes. And appallingly, many of the worst cutbacks have taken place under the current supposedly conservative administration of David Cameron, whose government’s disastrous stewardship of defence matters has left Britain with no maritime patrol capability and (far more crucially), no aircraft capability until the two (or possibly just one) new carriers currently being built come into service. America has traditionally regarded Britain as her most stalwart ally because we have maintained moderate expeditionary capabilities together with the political will to use them where necessary. The political will has clearly ebbed away, as evidenced by the recent debacle with Parliament’s response to the Syrian crisis, and the expeditionary capabilities are gravely imperilled too. The Pentagon has always operated on the assumption that Britain could be relied upon to field an entire division operating independently of American forces in any joint action, but this is now being re-evaluated. Part of the EU’s problem is that it has pretensions of significance on the world stage which are simply not matched by its willingness to divert money from generous social programmes to pay for them. Our defence is literally being guaranteed by the American working poor, who go without the kind of welfare perks (like working tax credits) and government-provided universal healthcare that we take for granted, in order to fund the American military machine. Then there is also the issue of duplication. As well as spending far less on defence spending in real terms, the stubborn refusal of EU member states to give up the last vestige of sovereignty by abolishing national armies and contributing to joint European armed services means that there is massive duplication of HQ and some core infrastructure, while not nearly enough of everything else. There are probably enough European generals and admirals to fully man a Nimitz-class aircraft carrier, and yet Europe does not possess even one comparable ship (to America’s ten). In all of these ways, the European Union fails to pull its weight, let alone punch above its own weight, and actively contributes to making Europe far less than the sum of its parts. As Bolton rightly notes, flags and anthems do not embody unity. And in the European Union’s case, these ostentatious pretensions of statehood only mark the desperation of certain political elites to escape the irritant of accountability to their own electorates and instead dissolve themselves into the unaccountable anonymity of Brussels supranational governance. Or – to see the project in the kindest possible light – they reflect a desperate effort to create a single European demos through sheer force of will, the geopolitical equivalent of “if you build it, they will come”. But no European demos came, and none is coming. The entire European Union is built on an imaginary foundation and cannot hope to succeed, let alone win the respect and devotion of an informed citizenry. Ambassador John Bolton gets it. Tragically, Barack Obama does not.